New year, new you, right? January is more than six months in the past, but the start of a new school year is the perfect opportunity to ditch your bad habits. Are you ready to start fresh? Be honest. How many mix-matched sets of curtains do you have in boxes? Many military families collect several different types of curtains, towels, shelves and storage solutions over the years. When every house you live in is slightly, or majorly, different, it’s tempting to get new things. Instead of shopping at the PX for new stuff, pull out what you already have. Reusing or repurposing things you already own works for school supplies too. Try to use last year’s backpack and lunchbox. Try on clothes to see what still fits. I’ve got a huge stash of plastic brown commissary bags sitting under my sink. They’re great when I walk the dog or need to collect wet bathing suits. But I really don’t need quite so many. Instead of collecting plastic shopping bags, make the switch to reusable grocery bags. Pick up a few eco-friendly shopping bags at the commissary or PX. They’re usually located near the cashiers. Local grocery stores also sell fabric bags. You’ll love using your Sprouts bag in Okinawa! If you forget your bags at home, reuse the plastic bags to pick up dog waste, pack lunches or tote wet bathing suits home from the pool. You can also recycle plastic bags at the commissary. Look for the collection bins near the front of the store. Buying bottled water can get pricey! From vending machines, it can run you over $2 a pop! If you’re drinking lots of water, the cost adds up fast. Instead, bring your own bottle of water. Just fill it from the tap at home. Tap water might not be for everyone. If you live on or near a military base, you may decide to drink bottled water and that’s understandable. To improve your tap water, consider installing a filter or working with a water filtration company. You’re only living there for a few years, so maintaining the lawn or landscaping might not seem like a priority. You should make it one! Gardening can seriously help improve mental health! Next time you need to kick the deployment doldrums or beat the PCS blues, planting a few plants or pulling some weeds is worth a try. Beyond boosting your mood, keeping up your yard can be required as part of your lease agreement. On-base residents are typically required to maintain the lawn and any plants on their property. Some off-base homes might ask you to handle minor upkeep too. Being a good tenant can help you when you PCS, since prospective landlords may ask for contact information for your previous landlords. Whether you live on or off base, you might be headed to the same school or work location as your neighbors. Before you all pull out of your driveways in separate cars, consider setting up a neighborhood carpool. Active duty troops headed to similar areas on base might rotate driving duties. You could connect with other parents to figure out a good drop off and pick up schedule for school. Carpooling helps everyone to save on gas, can build great relationships and reduces fossil fuel emissions. Every week, it seemed like I was left with food that wasn’t eaten. Whether it’s one sad apple in the drawer or a box of salad greens, something spoiled in the refrigerator. Since we started menu planning, we’ve cut down our wasted food by a lot! We’ve set up a general meal rotation that we run through every week. I tweak a few things weekly, based on what’s in season or on sale. Having a mostly standard set of meals makes it easy to shop since we eat the same things every week. Another option is to plan out unique meals by the week or month. As you plan, write down ingredients for each meal. Try to plan several meals each week that use similar ingredients so that you can use leftovers. On example would be to roast chicken on Sunday, eat pot pie on Monday and have chicken fried rice on Wednesday. When you’re making your shopping list, check for ingredients that are already in your pantry or fridge. Then just buy anything extra that you need, plus general weekly staple items like milk and eggs. Since you’re already gardening, it’s a no-brainer to take your hobby to the next level! Composting vegetable scraps and other food waste can help to enrich your soil. That leads to better blossoms and yummier veggies. Collect fruit and vegetable peels, egg shells, coffee grounds and other food waste in a compost bin. Transfer to a larger compost pile or system. Over time, those food scraps and waste will break down into super-rich soil. Spread your enriched dirt over your garden beds and watch your plants thrive! Living in Japan and traveling overseas has been eye-opening in terms of what can be recycled and what must be trashed. There are lots of options for recycling items. It just takes a little effort to break down cardboard boxes and rinse cans or bottles. As you cook and eat, be mindful of food packaging and what you do with empty containers. Most glass, metal, paper, cardboard and plastic can and should be recycled. Check the recycling policies where you live for specific rules about removing caps or rinsing containers. Instead of posting an angry rant in the neighborhood Facebook page, grab a trash bag and pick up a little bit of trash. Better yet, set up recurring neighborhood clean-ups! You’ll connect with your neighbors in new and different ways. Plus, your community will look so much better without litter or pet waste. So those curtains…if you haven’t used them in a few moves, it might be time to give up the ghost. Instead of dragging them to yet another duty station, where you won’t unpack them again, donate or sell them. However you do it, get rid of the stuff you haven’t used in a while. If you can’t or don’t use it, it’s time to lose it! What habits do you want to change this school year? The first day of spring is March 20, and that means it’s time to get your gardening on! There is nothing quite like the feel of warm soil on your hands. Add some quality seeds, some sun, a little water, and in just a few short months you have the freshest produce or most beautiful flowers you can imagine. And nothing quite beats the feeling you get when you can go out into your own backyard and fill a vase or basket with something you’ve grown. Even if you have a small space, as long as you have a sunny spot, you can grow something. You can even grow fruit trees! Last year, we made the big investment and built a large raised bed garden. We planted all kinds of things: tomatoes, peppers, three different types of squash. Then there was eggplant, strawberries, broccoli, Brussel sprouts, cabbage, lettuce, carrots and tomatillos. We had cucumbers for days and we don’t have time for me to list all of the herbs, just know that there were 6 types of basil. To say that we may have gone overboard in our first year is probably an understatement. But it’s almost time to start planting again, and while we have pared down our harvest list, what hasn’t changed is our love of a good bargain. Seeds aren’t expensive, per say, but when you add in all of the other things you need like potting soil, plant food, insecticide, watering cans, soaker hoses and plant supports, it can really start to add up. Knowing where you can snag a military discount is a gardener’s secret weapon. Both of these home and garden stores offer a 10% discount to all active duty military and veterans. You need to register in order to receive the discount, but it’s easy, and it’s a solid 10% off on everything you buy. And depending on the sale, it is often on top of sale prices. I love Home Depot and Lowe’s for things like soil (watch for the sales! ), seed starters, and materials for building trellises or vining frames. We even bought the cinder blocks we used to build our raised beds there, at a discount of course! They also offer a variety of easy to grow plants already started for you. Their selection of plants is a little limited, but you can start a pretty decent garden from what they have to offer. Do you live in Maryland, Virginia or West Virginia? Meadow Farms has an amazing array of plants, including fruit trees, vegetables and herbs. If you’re not up for sprouting from seed, they are a great place to “stock” your garden and Meadow Farms offers a military discount. Check out the daily discount offered by Hewitts. Get 10% off every Wednesday at Pettiti. Snag 10% off waterscape plants and materials from Hoffmans. Boyerts offers 10% off any one item every Wednesday. Have PCS orders to southern California? Get 10% off every Wednesday at Armstrong Garden Centers. Live in the middle of the United States? Orshlen offers 5% off every Tuesday. Homestead Gardens offers 10% off every Thursday. Wilco Farm Stores offers 10% off every day. You can save 10% at Marvin’s every day. At participating Southern States Cooperative locations, you can get a 10% discount every Tuesday. Want to do a little hydroponic gardening? HTGSupply offers a 10% military discount for veterans. You need to register for a veteran account with HTGSupply to receive the discount. Summer Winds Nursery offers a 10% discount on any one item every day. Do you have a large yard? John Deere offers a military discount for all current and former service members. Jason’s Greenhouse offers a 10% discount. Logee’s offers a 10% military discount. Summer is quickly approaching and your kids will be out of school before you know it. Keep them busy with these 5 outdoor summer activities that all cost under $10. They will be thrilled and your summer spending won’t get out of hand. Did you know you can make your own sidewalk chalk? Kids love to be outdoors playing in the sun. As parents, we worry about keeping them from overheating. Drinking plenty of water and playing in water can help. There are many summer activities that include water. Going to the swimming pool is great, but it isn’t always a possibility. You can put up the water sprinkler for a quick cool off but have you ever considered making a water slide in your yard? Jennifer from Hope Studios has a wonderful DIY slip ‘n slide. In 20 minutes, you can have one set up. The kids will be excited to have fun summer activities in their own yard and you might score some cool parent points. Follow these step-by-step directions and you’ll be slipping and sliding in no time. Your family will have plenty of laughs and great stories to tell after making a slip ‘n slide as part of their summer activities. Making your own sidewalk chalk is a fun family project to add to your list of summer activities. Children love playing with sidewalk chalk. There are many games you can play with sidewalk chalk including: hopscotch, tic tac toe, four square and making roads to race cars on. Drawing pictures and scribbling are my 2-year-old’s favorite things to do with sidewalk chalk. Don’t tell your kids, but this can also be educational. Using sidewalk chalk helps children work on their fine motor and gross motor skills. If you have young children, you can use this opportunity to practice colors, shapes, counting and the alphabet. Just make sure to keep it fun. Follow these step-by-step directions for your own homemade sidewalk chalk. Note: It may take several days to dry the chalk before your kids can use it. What kid doesn’t like playing in the dirt? Some of the best summer activities involve getting dirty. Planting a garden with your children can be a fun and rewarding family activity. You can plant a large garden or simply plant a flower or herb in a pot. Gardening is another one of those sneaky educational activities. Children learn responsibility from caring for the plants. They learn cause and effect, such as if you don’t water it, the plant will die. They also learn self-confidence from seeing the success of the plant growing after their hard work. Caring for a garden is a summer activity that keeps your kids busy for the entire summer. Do you plant a garden? What do you grow in your garden? No matter the age of your children, everyone can play a part. A small child can dig a hole, push some soil in, drop a seed in the hole, push dirt over it or maybe even help pour water. Bigger kids can enjoy adding personality to the garden by making plant markers. Try one of these 26 unique ideas for DIY plant markers. Begin small by buying a bag of potting soil, some seeds and a clay pot. Tomatoes, green beans and cucumber seeds are all great starter plants. Let your little ones paint or color the pots. One of my favorite summer activities is making bird feeders with peanut butter and pinecones. It’s fun to go on a hike to look for pinecones to decorate. You get a chance to get out in nature and explore with your children. This is one of the easiest and cheapest summer activities. All you need are pinecones, peanut butter or shortening if someone has nut allergies, bird seed, a butter knife and something to hang the pine cone with such as twine or string. Kids love covering the pinecones, choosing a place to hang the bird feeder and watching the birds. This also gives you a chance to talk about different birds that live in your neighborhood. Sack races are a quick, easy and inexpensive summer activity. All you need are start and finish line markers and sacks to use in the races such as sleeping bags or pillow cases. If you’re ambitious and like to sew, you can make your own sacks using burlap. The start and finish lines could be masking tape, little cones, leftover birthday streamers or anything you find around the house. Let the laughs begin. What are your children’s favorite summer activities? Tell us about them in the comments section. Did you plant your deployment garden? It is already the middle of April and time to start planting those easy-to-grow vegetables, such as tomatoes, peppers, carrots, peas, and herbs. I have found peas to be one of the easiest vegetables to grow in my past deployment gardens. 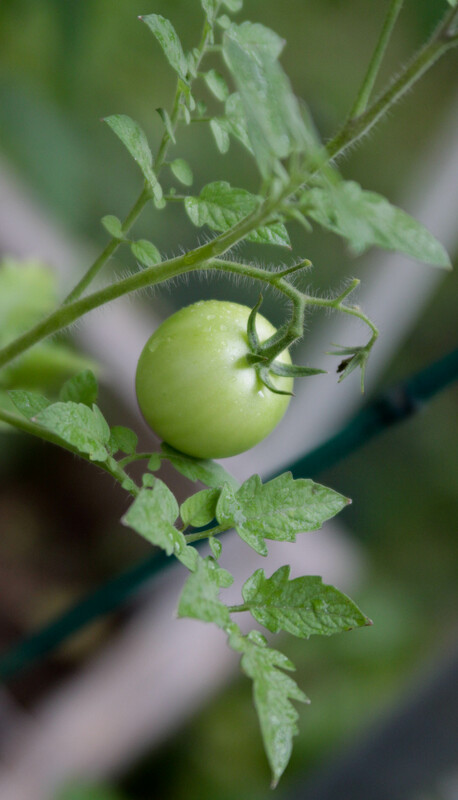 Plant this month to eat tomatoes off the vine this summer. The first step to planting a garden is research. You need to know what zone you live in. Different parts of the country should start their seeds at different times during the spring. You want to make sure you are doing what is best for where you live. Then you are more likely have success and enjoy the bounty of your work this summer. Don’t know when’s the best time to plant? Consult the USDA’s Hardiness Zone Map. I live in Tennessee, which is located in zone 6B. I already planted my sugar snap peas, carrots, and radishes. With the carrots I am planting a few every week. That way they will not all be ready for harvest at the same time. We can munch on a steady stream of home-grown carrots throughout summer. Some plants are able to be put in the ground before your last frost date while others need to wait. Each vegetable is different and can handle different types of weather. I am anxiously waiting to plant my corn until nighttime temperatures are consistently above 55 degrees. Unfortunately our temperatures are expected to hover around 30 degrees this week. Although by the calendar I can plant around the 15th of this month, I decided to wait until it warms up a little more. I am also growing tomatoes and peppers which I started from seed back in February. These will not go into the garden until the first week in May. Right now I have eight tomato plants and two pepper plants in a small greenhouse. If you are unsure about planting depth or plant spacing, read the vegetable’s seed packet. It gives you all the information you need. What’s your favorite vegetable to grow at home? You also want to use your best judgement when deciding what day to plant your seeds. If there is a windstorm predicted the day you were going to plant your garden, hold off until it passes. If you are having colder weather longer than you normally do, wait an extra few days. Your plants will thank you. What vegetables are you planting this spring? Last April I decided to start a garden. I had only ever tried to grow a few things in pots over the years and never done very well with it. This time, I jumped right in. We made some boxes and bought a bunch of seeds and supplies. It wasn’t just that I wanted to grow things, it was also that my husband was deploying and I knew gardening would be a good thing to focus on while he was gone. He left in June, which is right in the middle of the growing season. This was our hardest deployment yet and I knew I would need something to really focus on that would help take my mind off the fact that he was gone again. I decided gardening would be a good thing to focus on. I would have to tend to the plants. I could get excited when I started to see things grow. Plus, working out in the garden everyday is good for the soul. That is why I suggest you start your own garden if you will be going through a deployment. It doesn’t have to be too big. It doesn’t have to be too complicated. It’s simply something that can help you during the time your spouse is away. Try to plant things you already eat and love. Tomatoes are a great plant to start with. You can start from seed or buy transplants from the store. Having a garden to work on will help you see the bigger picture. You will get excited when it is time to harvest, knowing you grew everything yourself. You can send your spouse photos of how things are growing. And if you enjoy it as much as I did, it will become a part of your life and you will want to keep gardening, even after your spouse gets home.